Megan Coles, “Our Eliza” playwright, Savage Cove native wins BMO Winterset Award for first novel, “Eating Habits of the Chronically Lonesome”. This is quite an accomplishment! 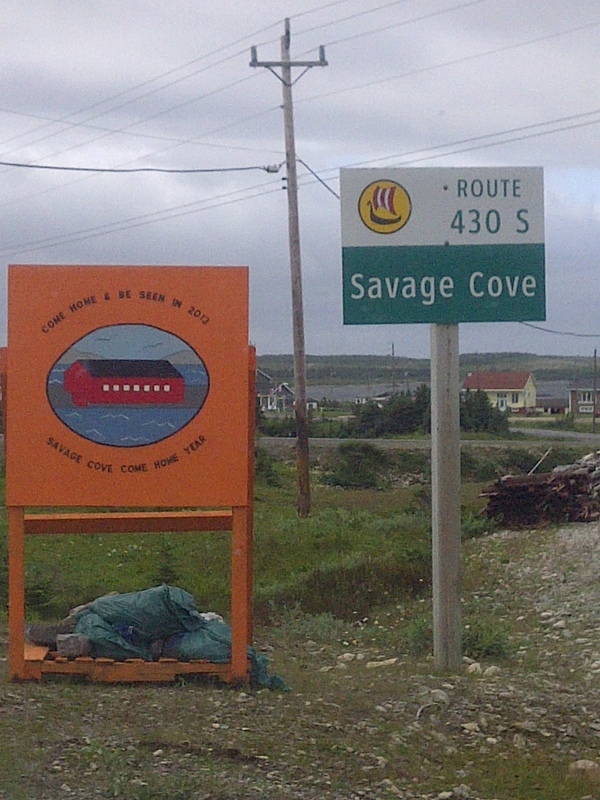 Savage Cove has fewer than 200 residents. A collective of communities make up the Straits, where all students from Eddies Cove to Anchor Point go to Canon Richards Memorial Academy at Flower’s Cove. I went to high school with Megan. She always possessed creative talents, whether in poems, scripts or short skits. I would think the road to the arts is not always an easy choice, even for those who have incredible skill. Megan is a person who has remained steadfast and committed to pursuing her passion for the pen and paper. It brings great pride that she is from the Great Northern Peninsula. She is such a role model for budding young artists in the region, across the province and country! 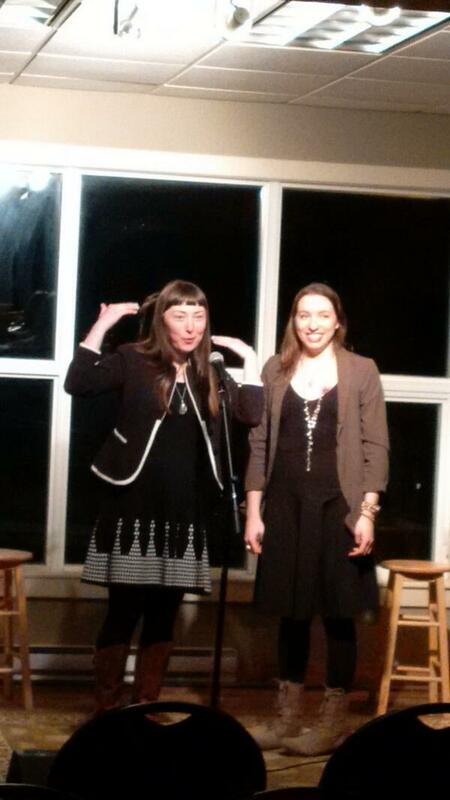 Megan Coles (left) graduated from Memorial University of Newfoundland and the National Theatre School of Canada. She later co-founded the Poverty Cove Theatre Company, producing her amazing play “Our Eliza” and bringing it home to the Great Northern Peninsula. My sister and I went to see it before the tour at the opening night in the Barbara Barrett basement theatre at the St. John’s Arts & Culture Centre. Megan has since launched other plays and continues to be involved with writers guilds and groups to advance the profession from her home in St. John’s, NL. On December 9th, I recognized Megan Coles for her literary talents from her first book along with storyteller Earl B. Pilgrim and children’s writer,Gina Noordhof in the House of Assembly in a Private Member’s Statement. This week, Megan’s win of the 2014 BMO Winterset Award for her book, Eating Habits of the Chronically Lonesome showcases the talent of this young writer, especially given this was her first book. The award is the province’s richest literary prize, at $10,000 and has a special ceremony at Government House. The two other 2014 award finalists were Michael Crummey for Sweetland​, and Alan Doyle for Where I Belong. Megan is currently working on a trilogy of plays examining resource exploitation in Newfoundland and Labrador, The Driftwood Trilogy: Falling Trees, Building Houses, and Wasting Paper. I encourage you to get a copy of her book and support her current and future work. We have incredible stories that must be shared, especially from the Great Northern Peninsula. Our greatest resource is no doubt our people. Megan Coles is one of our own, deserving of these accolades and will continue to shine throughout her artistic career. Savage Cove has about 150 current residents, but that certainly didn’t hold them back for organizing a Come Home Year Celebration that would see hundreds return to their roots and enjoy a week-long celebration from August 12-18th. When a community has a belief and goal, they tend to set the bar high and in many cases exceed expectations. Despite a windy day at the start, no one’s spirit was dampened. This was a first for the community and the waves likely reflected the energy of having everyone home again. In the weeks leading up to the event, people volunteered many hours building a structure to add to the Harbour Authority Building to ensure they could handle capacity. The committee dedicated many hours and was heavily supported by the community and those expats away to ensure monies would be available for materials, bands, bags and other events through their fundraising efforts. I enjoyed marching with the crowds, as family banners were held high. There were so many, I may not have captured them all. Last Christmas we held the 3rd Annual Mummer’s Walk in Savage Cove, with about 40 mummers walking the same path as those registered for Come Home Year. It was incredible to see hundreds march proudly from St. Mark’s Church through the community to end up near the point. The week of activities was impressive and added something for the whole family, such as a bon fire with fireworks, kids activities, play day at the playground and recreation cages in Flower’s Cove, seniors card game, bingo, Newlywed Game and nightly entertainment. There were craft producers, daily breakfasts and most importantly lots of new memories being made. Savage Cove is another small community that shows, even small communities can do big things. Next year, Eddies Cove East will be holding its first Come Home Year Celebration. I want to thank everyone involved, from the committee, other volunteers, residents, those who came back and others from the region who supported this Celebration. 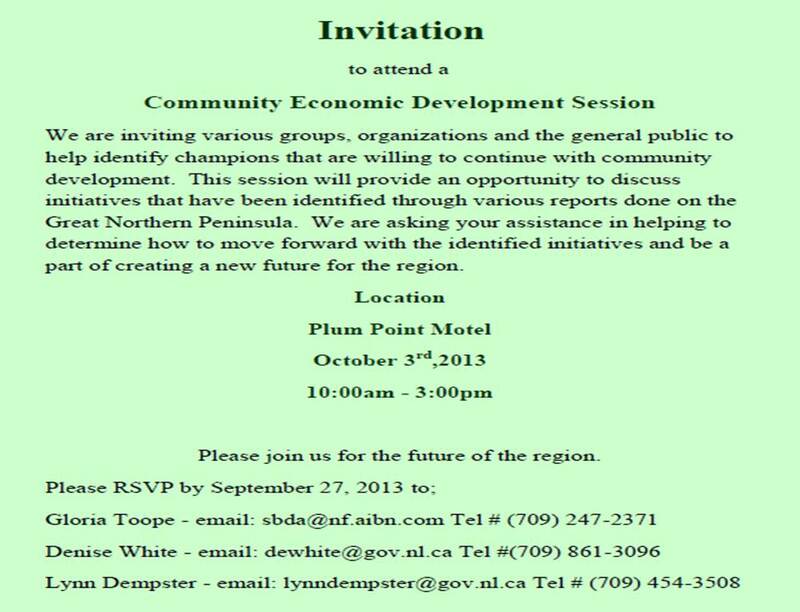 I’m proud we can celebrate our communities in a big way, it builds a stronger rural Newfoundland & Labrador. The future of our communities will depend on actions we as citizens take to shape them. We have seen recent developments that have been citizen driven such as the Little Folk’s Daycare, a non-profit daycare operated by a volunteer board in Flower’s Cove serving the 26 communities of the Straits. Similarly the Ivy Durley Place is expanding to meet the aging needs of our citizens primarily from Castor River to Eddies Cove East. 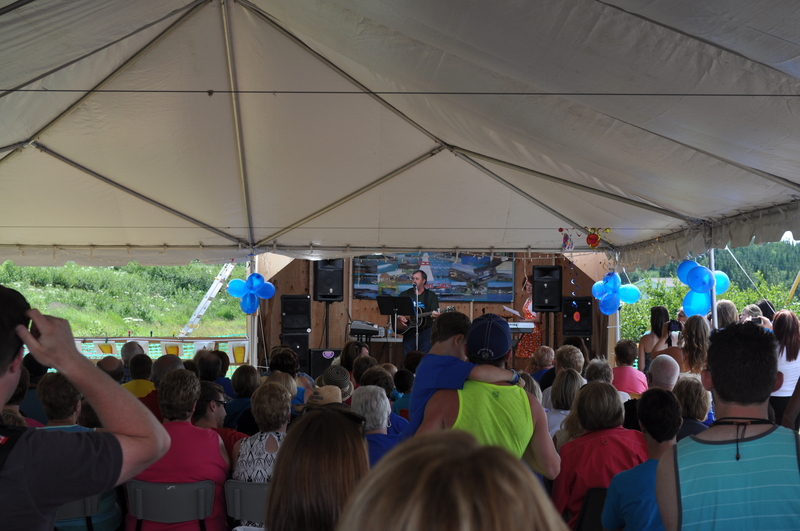 Successful Come Home Year Celebrations were held in Savage Cove, Roddickton and Conche this summer. Cook’s Harbour-Wild Bight-North Boat Harbour raised $100,000 to build a Let Them Be Kids Playground and St. Anthony Lions are working with Habitat for Humanity to enable four families to be homeowners. We have much to be proud of when we are community building. Let’s Keep Building – Together! 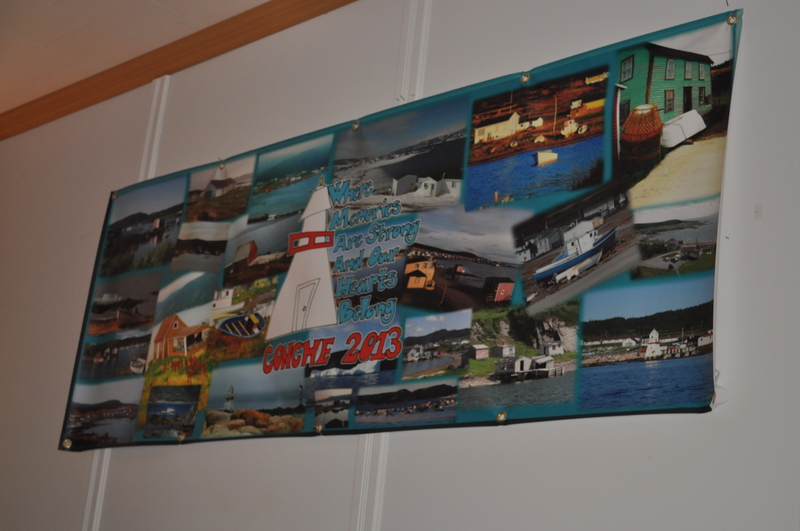 Last summer was another banner year for Come Home Year Celebrations with the Town of St. Anthony; Town of St. Lunaire-Griquet; Town of Main Brook; Town of Anchor Point and Deadman’s Cove each hosting events for a week or more. This summer, the Town of Conche kicked off celebrations on July 25th. On August 5th the Town of Roddickton will be holding a week of activities, followed on August 12th by the Savage Cove Come Home Year. One thing about Come Home Year celebrations, they are incredible social and economic contributors to the province and region. These locally organized events are helping to drive the Province’s tourism industry, that reached more than $1 Billion in 2012. The number of travelers by Marine Atlantic, Deer Lake Regional Airport or personal automobile is in the thousands when you total up all the homecomers. Local businesses, such as gas stations, hotels, restaurants, grocery stores and retail outlets benefit from the influx of guests. In addition, hardware and furniture stores also see additional business because of renovations to one’s property whether in the form of flower bins, flooring or a new bed. These celebrations instill great pride in the community of which you live, lived, have roots or a some other connection. They are pulled off by dynamic community leaders, who tirelessly commit hours of preparation time, make difficult decisions and spend every waking hour ensuring that everyone is enjoying the festivities. These individuals, who undertake such a big initiative are truly to be commended for all your hard work and efforts. I had the pleasure to take in the Parade and Opening Ceremonies of the Conche Come Home Year this past week. A long line of vehicles covered every roadway, including Crouse to turnaround. This was likely a record for the number of vehicles there in such a short time span. After the parade, there were greetings by brought by the Deputy Mayor, Committee, myself and others. Conche’s own Clara Genge sang a song she wrote called “Northern Beauty” and local legend Danny Carroll belted out a tune or two. After the opening, one could get your memorabilia. I bought some placemats, mug, shot glass, Clara Genge CD, Apricot jam, Christmas ornament, Do Unto Others – Dower of Conche and a number of pieces of jewelry from Youth Ventures participant, Shelby. It is great to support local artisans. Although weather did not co-operate well with the Conchers, they took it all in stride and re-scheduled several events. NDP Leader Lorraine Michael and I had the opportunity to take in some of the softball tournament, chat with locals and watch people get dunked. The variety show was a great mix of song, dance, recitations, and skits that displayed the abundance of local talent that exists in Conche. It was a fabulous week and enjoy taking in many of the events. The committee deserves a big bouquet. Now tomorrow, begins Roddickton CHY. I look forward to a follow-up posting. Come Home Year celebrations can also bring people back, as the atmosphere creates that desire to be home, that renewed drive to retire or plan more frequent visits to the family homestead. In fact, it had that effect on me. It was during a week-long Come Home Year Celebration in my hometown of Green Island Cove in 2009 that I decided to quite my job working for a Professional Association in Alberta and move back home at the earliest possible convenience. It was just three weeks later and I began my cross Canada tour with all my belongings packed strategically in my little Honda Civic. I’ll have to save that experience for another posting. I started work in Community Economic and Business Development with CBDC Nortip and worked there for two years, before being elected to the House of Assembly as the member for The Straits-White Bay North under the New Democratic Party banner. As you can see, that decision has dramatically changed my life, but I would never look back. Being a politician is no walk in the park, but in my role, I see good things happening all around me. I encourage the people of the District to continue to work together, plan community and regional events and let us work together to ensure we are building resilient and vibrant communities.